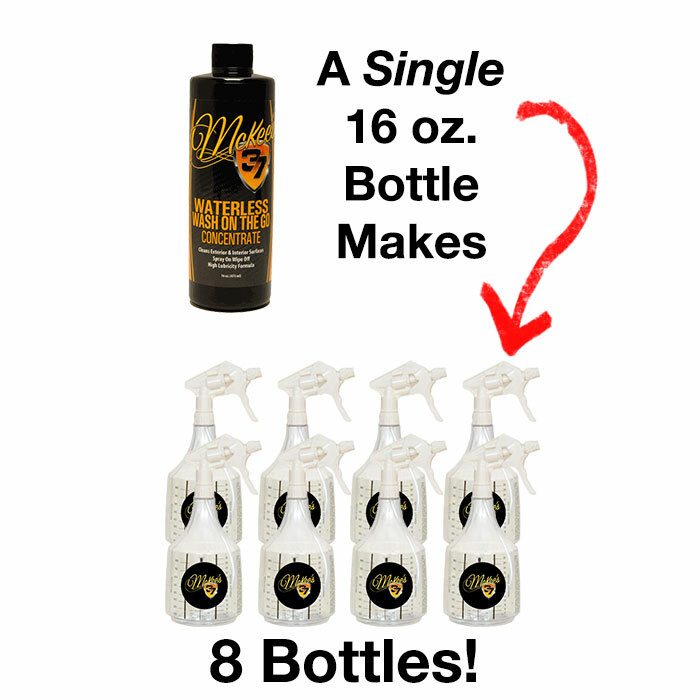 The McKee's 37 Waterless Wash On The Go Concentrate Combo contains everything that you need to keep your car looking its best without wasting water or breaking the bank! Mix up a batch of waterless wash using McKee's 37 Waterless Wash On The Go Concentrate in the included 36 ounce Detail Bottle (using the threaded funnel to help!) then get to work washing your car. Whether the weather is bad, your community faces water restrictions, or you simply don't have access to a hose, the McKee's 37 Waterless Wash On The Go Concentrate Combo helps you keep your vehicle clean with a spritz and a swipe! We've even included a handful of super soft towels to get you started. A total retail value of $67.91, you save $17.92!